So the AAM conference has come and gone. The museums, science center, and cultural organizations of Minneapolis and St. Paul were gracious and wonderful hosts. Now that the dust has settled and we have recovered from the last of the all night parties, here are some observations in no particular order. - Walker Art Center with its Open Field Initiative – Awesome! Where else can I get a hula hoop and give it whirl at a moment’s notice on a sea of grass. A model for community engagement. - National Association for Museum Exhibition (N.A.M.E.) 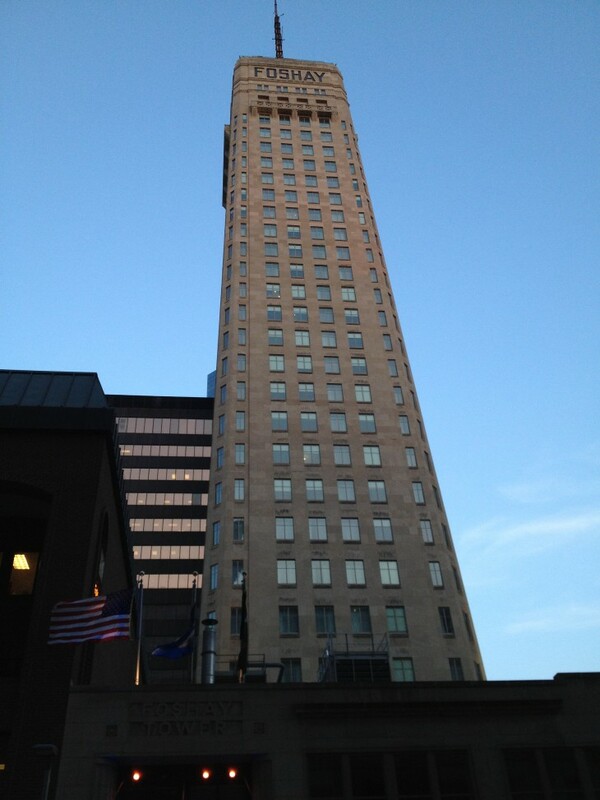 threw a great party at the Foshay Tower. Beautiful art deco space at the top and the most hidden with interesting museum at the top of the tower. Minneapolis style Empire State Building observation deck at the very top. - Generational discussion continued at the conference it still feels that there are some tensions between Generation X and “grey beards” in the museum field or perhaps just miscommunication. - Speaking of generations it was great to see all of the students who came to the show. It’s nice to see that working in the museum field is of interest to so many. Gaming in the Museum Monday, the session titled Gaming: Creating Connections to the Collection offered some fascinating and intriguing in sights to the use of gaming to add an entire another dimension to the how to interact with the museum. Interactions within the game can include everything from scavenger hunts, performing for staff, to recording one’s impressions. There appears to be a wide range of possibilities of what can be included in the overall “storyline” of the game. 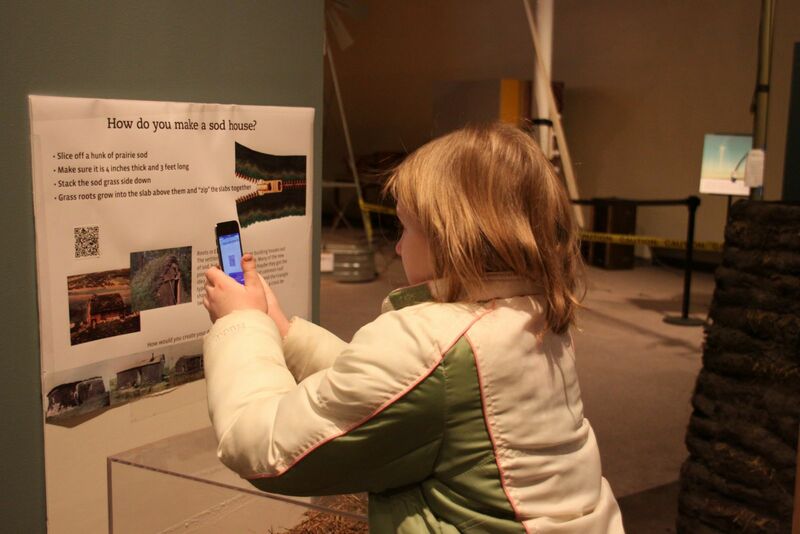 Games offer an engaging way for school trips to share a visit and for what happens in the museum to be brought back literally to the classroom and even the home – Requires portable technology (iOS devices the preferred choice due to open source software) which allows for the large variety of interactions. People, including kids are comfortable with it. Gaming in the museum appears to point out, highlight or make apparent new needs and well as short comings in the wayfinding of an institution. It breaks down the traditional meaning making of the physical space. 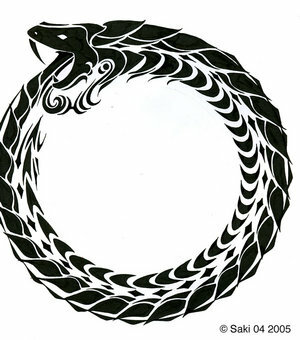 The snake is eating its own tail. So yesterday an interesting discussion occurred concerning the several current themes that this blog lumps under the moniker “museum food chain.” What is meant is what appears how different types of museums are “eating” what has been the content, audience or other defining characteristic. A few examples that were part of our discussion. Pirates, mummies, ancient manuscripts have been recent subjects of large exhibitions often present at science centers. These subjects have more traditionally been the subject “territory” of natural history museums. Meanwhile children’s museums are increasingly looking to create science, technology, engineering and math or STEM exhibits to attract audience and to be in sync with educational standards. In parallel museums are trying to increase and expand their audiences often moving into other’s “turf” as well. Children’s museums are working to increase their attendance from older children, often with the same STEM content just mentioned. Meanwhile science centers constantly expand their preschool areas and now seek to all elusive teenager audience that actually no one seems to really have captured. How can art museums present STEM content? When will science centers tour a Matisse or Renoir show? When will a children’s museum put up an exhibition for seniors? If current movements are any indication, museums will constantly try to push existing boundries in an increasingly competitive market. Museum Categories Are Dead! Today one of the very first sessions at the 2012 AAM conference focused on the emerging use of augmented reality in the museum setting. This was both in inside facilities as well as outside locations including parks, historical sites and zoos. 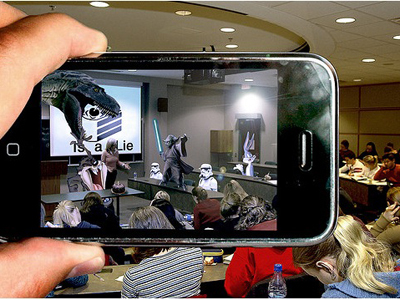 - When you think of AR don’t be focused only on 3D models that appear on a screen (mobile, tablet or monitor) which can be rotated in three dimensions. Rather think models, video, data and other information provided from either gps and or visual sensing location determination. It’s the info cloud that is accessible at a certain place. - Today programming across multiple platform iOS and Android is problematic. The holy grail is to make it BYOD (bring your own device) so this is important. It poses the question of equal access of content to all. What if you don’t have a device? What it the content doesn’t work on your device? - It appears the major “nut to crack” is how to have AR not remove you from the real object or process. How does it really augment it? No one wants people just staring at more screens. A great deal of work remains to solve this issue. Not mentioned today was did people learn more or improve their experience emotionally or in other qualitative ways. - Something to consider is where and how the visitor acquires the app to use the AR if they are using their own device. You can’t depend on them downloading it before they arrive. It appears that having wifi is critical – not just or only cellular service. - Finally already the move is to match AR with game experiences. So, as we approach the annual AAM conference, we see several trends and themes emerging across the field. These observations are based on meetings and visits with funding authorities, museums, summits and other professional conversations. It will be interesting to see if these themes come up at the conference and what news and updates we’ll add afterward in our postmortem after the conference. There is an increase in the creation of “maker” and DYI spaces in both science centers AND children’s museums. Linked with 1 above is the move in the children’s museum to aggressively target STEM content. Where does this leave the science center field? In the museum world, there seems to be a prevalent belief that if you build a mobile app you will attract (fill in the blank): teens, young adults, tech savvy, new visitors, money. But do these audiences want and respond to these new apps? Children’s museums are attempting to up the age range of their visitorship. They are looking to add new experiences and environmental contexts that will attract kids who may have thought the museum was only for their younger siblings. Museums anticipate that augmented reality will be a new technology in the toolbox of experiences. However, we’ve yet to discover how to use it well to achieve the intended impacts. Overseas, there are still many countries looking for a museum experience similar to the ones in North America. One trend these new overseas initiatives have in common: They are willing to try different funding models to make it happen.